Truly ground-breaking in their approach, Secret Access are one to look out for, a company on one path. And that’s up. No, Secret Access do not design and build secret entrances to buildings. There are no hidden tunnels or backdoors here. No, what Secret Access do is so good it makes you think ‘why didn’t I think of that?’ It’s such a simple solution to such a common problem: inaccessibility, and as we grow into a more inclusive society there is an increasing demand for smart solutions to age-old problems. Have you ever seen a beautiful building spoilt by a clunky concrete ramp entrance at the front, masking the original features of the building? I know I have. Of course, that’s a willing sacrifice to make to allow for accessibility. That’s a no-brainer. What Secret Access is doing is essentially taking away the need for that sacrifice. Now you can have your cake and eat it, too. 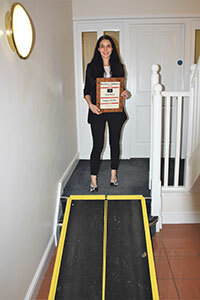 Secret Access design, manufacture and install bespoke accessibility solutions – ramps – into homes and businesses. 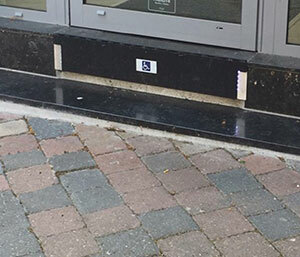 The difference is, these accessibility solutions are ingenuously hidden within the steps they are designed to bypass. The end result? Accessibility for all, and with no compromise to the aesthetics of the building with a Secret Access solution, be that business or home. While a strong company ethos helps ground Secret Access and directs the company on a straight path, there is an element of challenge in introducing a new and innovative product on to the market. “It’s very hard to change preconceived ideas and change existing attitudes towards access.” Nadege tells me. This is a consideration you have to bear in mind when introducing any new product which challenges pre-existing ideas on to any market. Where there is a challenge and an inevitable element of risk, however, there is also the greater chance of reward. It’s a gamble. And it looks like it’s going to pay off for Secret Access. This is all well & good, but the products really do speak for themselves. 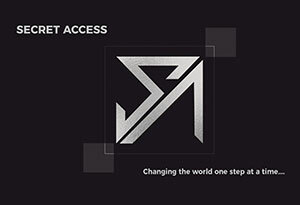 Secret Access offer a range of different access solutions, ranging from the manually operated, automatic and even an ultra-light portable solution. All of the solutions are bespoke, all fit discreetly inside of a step, leaving no permanent disfiguration of the image of the building. There are three automatic solutions; ‘Auto 1’, ‘Auto 2’ and ‘Auto 3. ‘Auto 1’ is the simplest automatic solution offered. 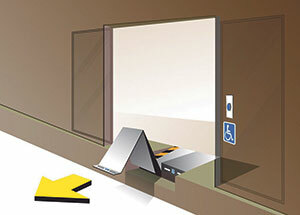 Operable from inside or outside with the press of a button, access can be gained in less than thirty-seconds. Other impressive features include: auto-obstruction detection, auto-fold away after use, and wheel guide integration. ‘Auto 2’ isn’t an upgraded version of the first, but rather offers access in difficult circumstances For example a lamppost in close proximity to a doorway, or a brick wall. In this instance there would be no room for an extendable ramp. That’s where ‘Auto 2’ shines. 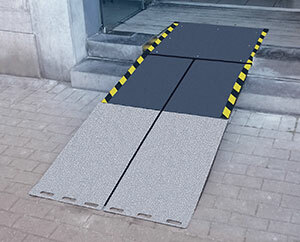 Hydraulically powered, the step lowers itself into a ramp, requiring no more space than a traditional step would. 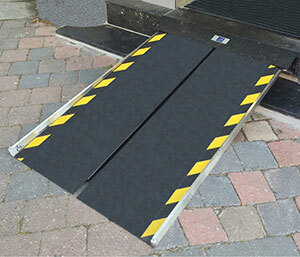 Remote-control & non-slip, this solution is perfect for those tight on space. ‘Auto 3’ combines the best of the first two models, ideal for awkward or difficult gradients, it comes complete with LED lights for safety and peace of mind when in operation. Secret Access further offers a five-strong extensive range of manually operated access solutions, including: Easy-Fold, Descent, Flex and Easy-Slide. There’s also the UltraLight; the portable access solution light enough to be carried with one finger! Truly deserving of Business and Industry Today’s Company of the Year accolade, Secret Access are shaking things up. Image is extremely important for businesses, especially those in hospitality industry. With so much competition in the industry, success is often decided by the smallest of factors. This is never before seen in the UK, so be the first to get ahead. This entry was posted in Company of the Year, Featured and tagged Accessibility. Bookmark the permalink.